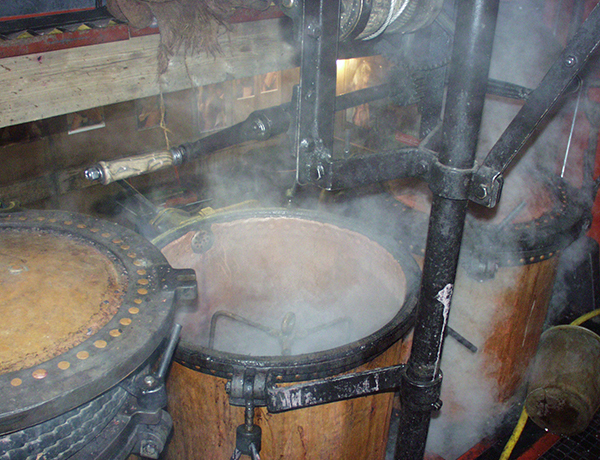 Unlike the marc, The Fine de Bourgogne comes from the distillation of the white wine lees, and the resulting alcohol is smoother. But, like the marc, it needs at least fifteen years’ ageing.. 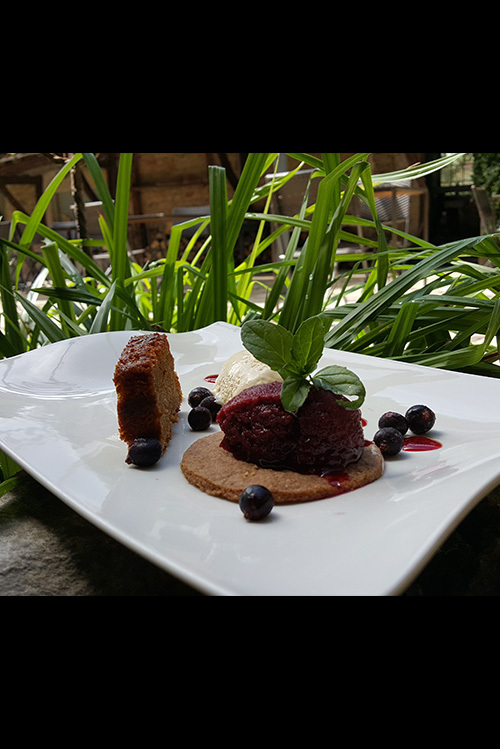 The chef : Serge Ripert from the Potin Gourmand in Cluny, Burgundy, has chosen to use the Fine de Bourgogne in his dessert: a red fruit and Fine de Bourgogne parfait, shortbread biscuit, gingerbread, and Réunion vanilla ice cream. 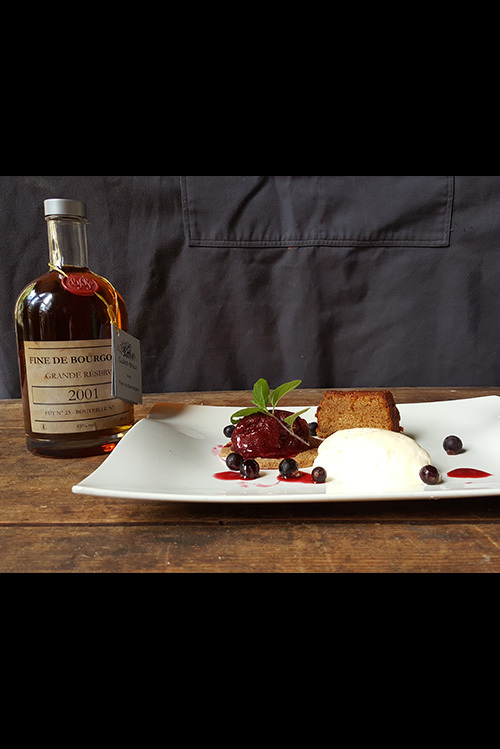 The intensity of the fruit is emphasised by the Fine, and the gingerbread reflects the aromas of spices and dried fruits that come with are expressed in the well-aged Fine. 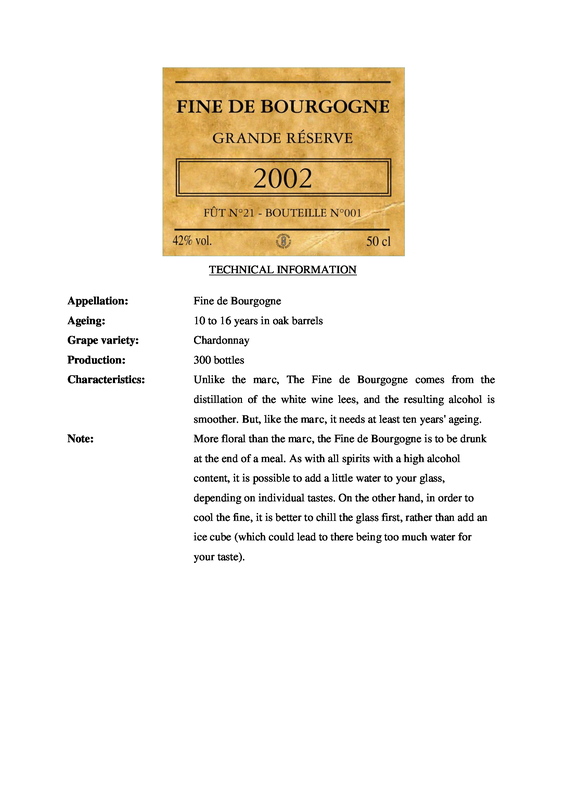 The Fine de Bourgogne has become a rarity because many wine makers clarify their wines during vinification. The quantity and quality of the deposit formed is thus much lower. 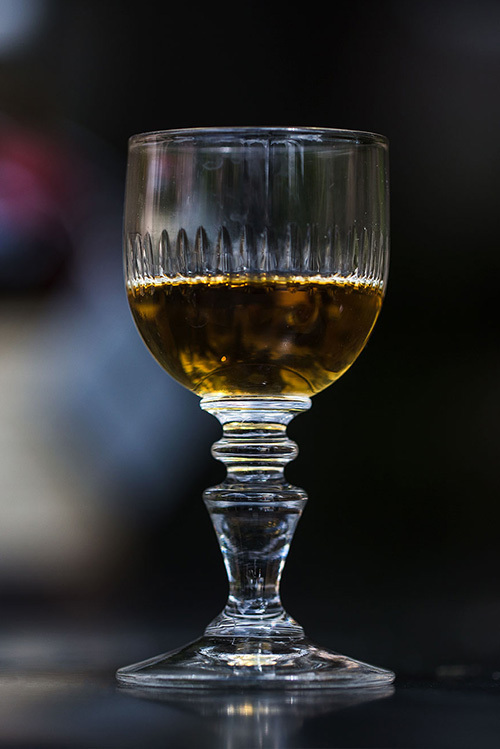 In addition, it often has a higher level of sulphites in it due to the maturing process, and this clouds the alcohol during distillation. 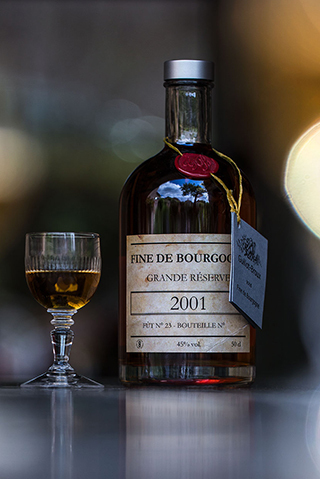 We use very little sulphite during vinification, which allows us to distill the deposit and produce a very flavourful Fine, particularly after 15 years of ageing.